SHAYE SAINT JOHN | . . . . . . . . . . . . . . . . . . .
SHAYE SAINT JOHN (USA) is a performer and video artist. Considered the GodMother of Absurdist Video Art, the character of Shaye exploded onto YouTube with a reality based horror show that defined the absurdity of the times. An ex-model, in a car crash and now outfitted with prosthetics, Shaye takes to the camera creating insane diets, working various angles to get back into the scene, and repeating unforgettable aphorisms mimicking the social media language that subsequently emerged. Her short films, or “triggers”, we’re modern day experimental works that focused on the digital language, celebrity obsession, physical body image and electronic environmental neurosis. Reaction to Shaye Saint John videos are often a mixture of confusion, violence, humor, and many times complete horror. Watching a Shaye video is truly an “experience”. A DVD compilation of “triggers” was released, and there is a rumored follow up to be put together in the future from previously shot, unreleased footage. The mastermind behind the Godmother of Absurdist Video Art was actually Eric Fournier. who kept his identity relatively hidden, until he recently passed away, taking with him the legend that is, Shaye Saint John. 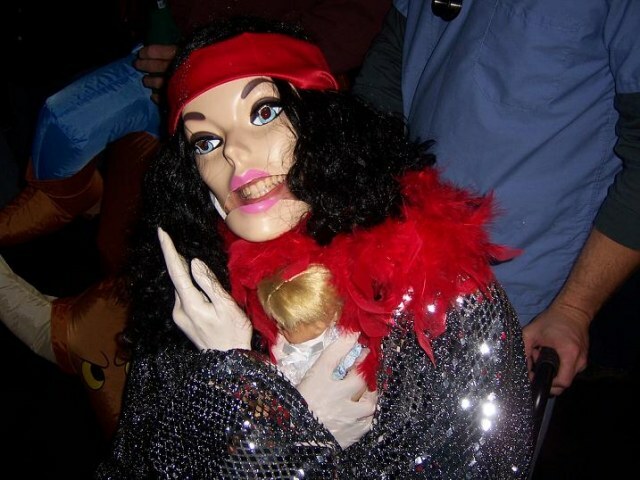 For more on Shaye and to see more triggers, see our post and follow the accompanied links, THE AMAZING SHAYE SAINT JOHN. 31+31& ETC=A large number: for an exact calculation precise figures should be used. the repartion of parts and the intonement for replacement part is descriptive of inexactitude.